Unite will be exploring alternative employment for the workers who will lose their jobs when the Cottam coal-fired power station in Nottinghamshire ceases generation on September 30. EDF Energy said today (February 7) that the decision reflects the challenging market conditions over the last few years and the drive to decarbonise electricity generation. “The announcement of this closure has been on the cards for the last 12 months,” said Unite national officer for energy Peter McIntosh. 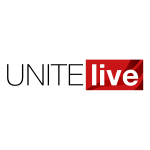 “Unite’s role will be to continue to constructively engage with the EDF management about the redeployment of the more than 150 employees affected,” he added.